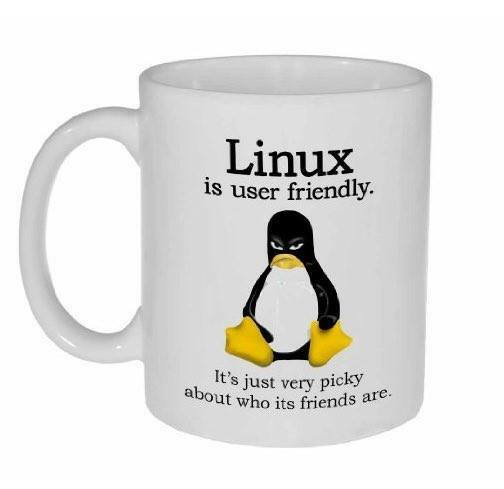 Firstly I must confess to knowing little about PC's, and even less about Linux, as I only recently started 'messing' with one or two distros that were on a packaged dvd, purchased with an 'Into to Linux' magazine. The distros were 32 & 64bit versions of Mint 18, Manjaro 17, Fedora and a few others for the equivalent of 8$. With the info in the mag plus the bundled software, for the few hours I've spent 'messing about', I feel I've got more than my money's-worth. That was followed up with the next month's publication (also in French), which included 5 variations of Ubunto. For years I've been a keen Mac user, and still am. Had an old 2007 white MacBook which maxed out at OS X 10.7.5 'Lion' (somewhat comparable to Windows Vista or Win8 in terms of 'popularity') - so the less said about that the better! In fact I continued to run the MacBook on a slighty earlier OS X 10.6 'Snow Leopard' which imho was one of the best, if not the the best Mac OS ever. Back to Linux. Although it functioned perfectly, that MacBook was past it's 'best by' date in terms of secure web-browsing, as even Mozilla Firefox had ceased providing updates. So I thought, 'Is it possible to give it a new lease of life with Linux?' Result after watching several YTube videos showed that Ubunto Mint 18 was the way to go, and last year that was my first, very positive experience with Linux. That same 11 year old white MacBook is still a very strong, up-to-date performer, running modern applications under a 32bit version of Linux Mint. Also ensure that the Pc or Mac has adequate Ram memory and available hard drive space. There are some very informative Linux forums with FAQ's to help out with most installation problems. Lastly, would I advise getting a cheap, early white MacBook in order to update to Linux? The answer's no, because although now cheap, the pre-unibody Mac's are a bit of a pain to remove the top cover - if required, but a 64bit mid 2010 white 'Unibody' MacBook is ideal and can be found quite cheaply. The 2.4GHz Core 2 Duo version is the one to go for, being a wolf in sheep's clothing, and in addition to any Linux can even run the very latest Mac OS version 'Mojave' (with added RAM - which takes just minutes to install). Even much cheaper, I snapped up a Lenova T500 and a slightly older Thinkpad T61 from local thrift stores, and now run Ubunto flavours on both. Brilliant machines! Both machines (Sony Vaio and HP Envy) had 64 bit versions of both Mint and Manjaro. I download the image, verify checksums then burn the ISOs myself to DVD. The version of Manjaro used was manjaro-xfce-17.1.12-stable-x86_64.iso from osdn.net - direct link from manjaro.org. Bios boot order has been changed to put optical drive ahead of hard drive on both machines. I can't yet figure out why the HP booted straight into Windows with the Manjaro DVD in; when I tried it with Mint it saw the image, tried to boot - I could get to grub - but no further. As said previously, early days. I shouldn't really be messing with either of these two machines though, I have somewhere an ancient gifted HP still running Vista, so that will be the new target. And as a reciprocal confession, I know nothing of Macs (even my iPad still boggles me), so I really am a lot happier sticking with PCs. Strange problem, and can't help wondering whether it's more hardware spec related rather than the Linux software, but what do I know? Never have really grasped many of the complexities of pc BIOS, plus I understand it differs between different manufacturers and various models. It's unlikely your problem, but apparently Linux refuses some graphic cards, and some from Nividia can be particularly Linux unfriendly. Maybe worth Googling to see if your machines meet all the Linux compatible specs, especially relating to the video card. I assume too that you have adequate RAM memory? Lack of it could be causing a hang-up/failure to post video display. I think that it must be hardware related, as both machines were booted from the same DVD. RAM isn't an issue on the new HP (8 GB). I'll come back when I've tried it on the very old HP, assuming that I can find its power supply. You could download Etcher and flash the ISO to a usb key it's supper simple, if that model of Envy supports boot from USB. CD's and DVD's as data mediums are becoming redundant. It's better now to have a workflow that doesn't involve them. Thanks CS, i had already put Etcher in place not yet knowing whether I would find USB or writeable DVD first, DVD won out. I know that I said I wasn't going to put anymore effort in booting the new HP Envy into Manjaro Linux, but being an ex-IT person I still seem to need to understand these things. The answer was in UEFI (new look BIOS) and it was the Secure Boot option. This was enabled by default, so I disabled it, restarted and bingo, up came Manjaro. I didn't push it, that wasn't part of the plan, I just needed to find out why it wouldn't boot from DVD, and now I know. Odd that it booted Mint, but I'm not going there. When you find the old HP laptop, that's probably when the real 'fun' starts. As mentioned previously I've never grasped many of the complexities of pc BIOS, which is one of the reasons why I far prefer the simplicity of Macs and OS X. Another being that since using them over the last 16 years less any anti-virus program, I've never been infected by a virus. And never had an OS system imposed on me. Having said that, my love affair with new Apple products is completely dead since 2012ish due to their in-built obsolescence in terms of hardware and software. A challenge is Triple booting a Mac with Ubuntu Windows and OSX still not sure how I did it but the hard drive in question has more partitions than a typesetters drawer. Strange you should mention this, because several months ago I was querying whether to set up a dual boot (Mac OS X 10.8 and Ubunto Mint) on a white Macbook. At the same time I was checking out several YTube videos on the same subject, and watched several going through the motions of a triple boot, Ubunto 14, Linux Mint 17 and Windows. The best I thought was a tutorial entitled just that: Triple Boot, Windows 10, Ubunto & Linux Mint. It clarified the procedure that even I could understand! Never got round to doing it however, as I have no need whatsoever for Windows and have no programes that require it. Plus I would't really want the hassle of occasional defrags, installing a Widows anti virus or malware programes, that I feel would be doing my Mac an injustice. On second thoughts though, I would rather like a triple boot of Ubunto 14, Linux Mint and....... Win XP. Seriously! So your bootloader/strapper mechanism was grub for the triple boot option? Microsoft is migrating to Linux slowly adding the Bash Shell to W10 was the start their server products have been shifting that way for some time or have been ceased because better Linux based products exist. Windows and Xbox are being aligned so developers can one click build to both platforms and Microsoft has been building a ARM development team because for more processing power at lower power consumption and single board computing ARM is where it's at and Linux based or Risc are the ground holders on ARM systems and emulation has come a long way.